Note: This post was published at quarter to ten in the morning on July 11, 2014. A few hours later, LeBron James decided to return to the Cavaliers. Coincidence? I think not. Please pass the word to The King that his ban from DIYBIKING.COM will be lifted if he Tweets a picture of himself biking in Ohio City. Thank you. I don't remember where I was or what I was doing when the Republican National Committee announced it was holding their 2016 convention in Cleveland, but I do remember thinking: Awesome. Well played, Reince Preibus. I do wonder, however, how many GOP delegates furrowed their brow at the news and thought: Cleveland? Republican readers: I know Cleveland last voted for a Republican president in the cretaceous period, but don't let that stop you from enjoying the town. You don't even need to wait for the convention to start, for I encourage you to visit anytime, start scoping out hotel rooms and restaurants, and look for things to do while you're there. As it happens, I have some ideas that'll help you. This list doesn't automatically assume you are going to bike in Cleveland, but believe me when I tell you that you should. This list also assumes you have visited Positively Cleveland and you have a map of the city. I volunteered for this place last summer and had a great time doing it. Here's why you should too: part of the GOP platform has always had an anti-handout theme. The Ohio City Bicycle Co-Op allows kids and adults to volunteer their time and earn a bicycle by fixing bikes and attending education classes. It doesn't get much more anti-handout than that. 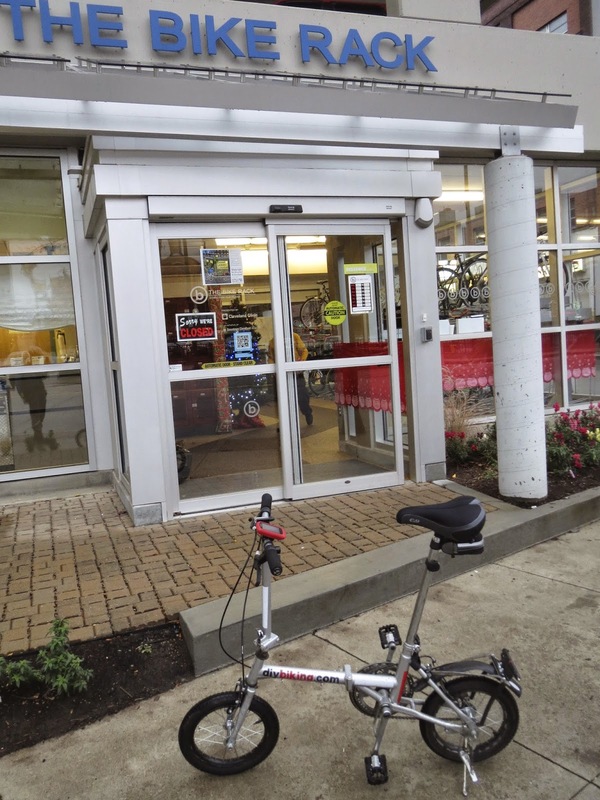 Right now the Co-Op is piloting a new Earn a Bike program for younger kids (ages 8 and nine) and for the next few Sundays, they need some extra volunteers: if you're in Cleveland on July 13, 20 or 27th and free between 1:30 and 4:00pm, sign up to help! East 4th street is a narrow, mostly car-free area in Cleveland that features plenty of outdoor seating and places you can lock your bike up. Before a long day of speeches, get your caffeinated beverage of choice at Erie Island Coffee, and for lunch or dinner visit The Greenhouse Tavern. You'll thank me later. Before you serve red meat to delegates on the floor of the convention hall, shouldn't you buy some for yourself first? The historic West Side Market is a short bike ride across the river. Great coffee, breads, jerky, desserts - you name it. Oh, and if you want to make a statement about government pork that's ready for television, you just might be able to find something to use as a prop - just make sure you have a bike trailer big enough to transport it safely. My hope is that delegates and other members of the GOP stay in or close to downtown so they don't need to use cars often, but if you want to stay far from the city center but worry about not looking professional when you arrive, check out The Bike Rack. For a fee you can lock your bike up and take a shower before you start your day. If it is especially hot during the convention, whomever you end up sitting next to on the convention floor will appreciate it. At some point during the 2016 convention you wish for a little quiet time, go someplace with friends or family, skedaddle while former Speaker of the House John Boehner gives his speech - and so on. There's no better diversion than riding on the trails of the Cleveland Metroparks system. You can also visit the Cleveland Zoo or just have fun. 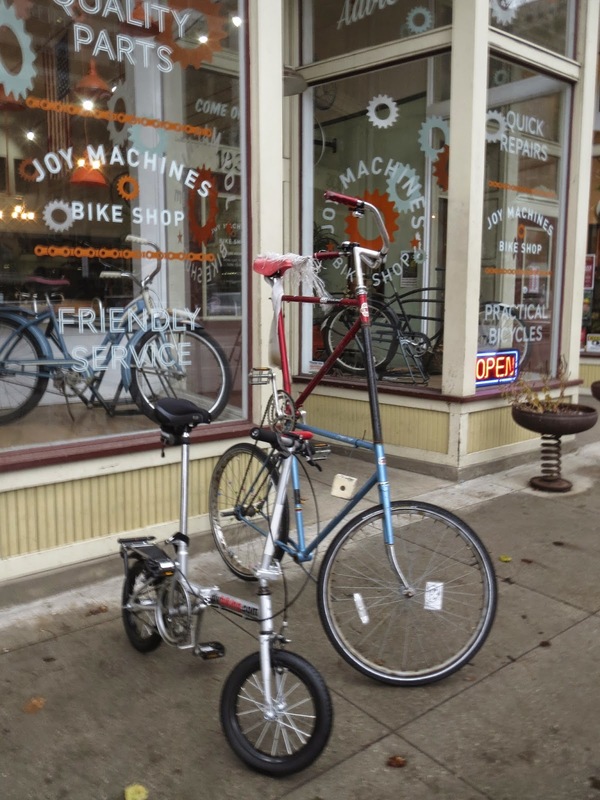 Fridrich's Bicycles, Joy Machines and Blazing Saddles. Study them. Know how to get to each one by memory. If you want to buy a bike, it's a three-way tie on where you should go to get one. As far as repairs go each seems very capable. Best of all, these are small businesses - and they'll inspire you. 1) Take your impressions of Cleveland's bike infrastructure home to your cities and towns. If there's one thing I learned when I took the Republican and Democratic candidates for Stamford mayor out for a bike ride last summer, it is that safe cycling and smart cycling infrastructure transcends politics. Neither party owns the issue but both are smart to push it. Riding a bike doesn't lump you in with the Prius-driving, Save The Planet lot. It doesn't mean you don't have a car. It's not a political statement of any kind, it's just a smart and fun way to get around. The more elected officials of any kind can do to make cycling easier, the better. It involves tax dollars, to be sure, but it is well worth it and a little can go a very long way. So pack your bike and head to Cleveland, or buy one when you arrive. Encourage your fellow delegates to do the same, and as a gesture of goodwill I recommend hiring local Cleveland artists to build some bike racks for the front of the convention hall. Remember: Democrats haven't picked their host city yet, and now that you've landed on Cleveland I imagine they'll want to one-up you and show they are more bike friendly than you are. Don't let them win! Thanks for reading and thanks for riding.